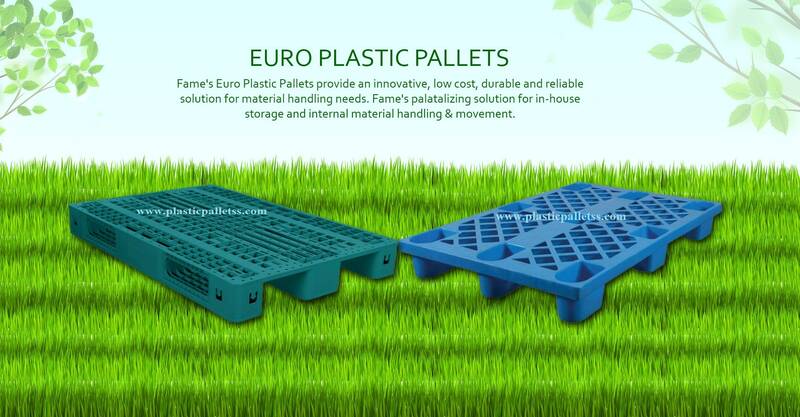 We are one of the leading manufacturer, supplier and exporter of an extensive range of Plastic Pallets. The offered range of pallets consists of Industrial plastic pallets, Four Way Entry Plastic Pallets, Industrial Pallets, Two Way Entry Pallets, Plastic Pallets and many more. These are specially designed and developed using the best quality materials to avail them with high strength and excellent lifting capability. The offered range of products are highly demanded in across the globe because of their wide application in various industrial sectors. Moreover, we provide these pallets at reasonable prices and with many customized solutions. We supply the material many repotted companies like mother dairy, Haldiram, nestle, Patanjali Ayurved, Dabur, Baidynath, himalya Drugs, and many food and Pharma companies. We are engaged in manufacturing and supplying as well as exporting of a Steel Reinforced Plastic Pallet, which is considered an ideal substitute and a favorable alternative to conventional wooden/ steel pallets. These Four Way Pallets are not hampered by the inherent problems of swelling, rotting, termites and fungal infection that is there with the steel or wooden pallets. We have designed these industrial pallets for optimal load bearing capacities with a strong and durable design.